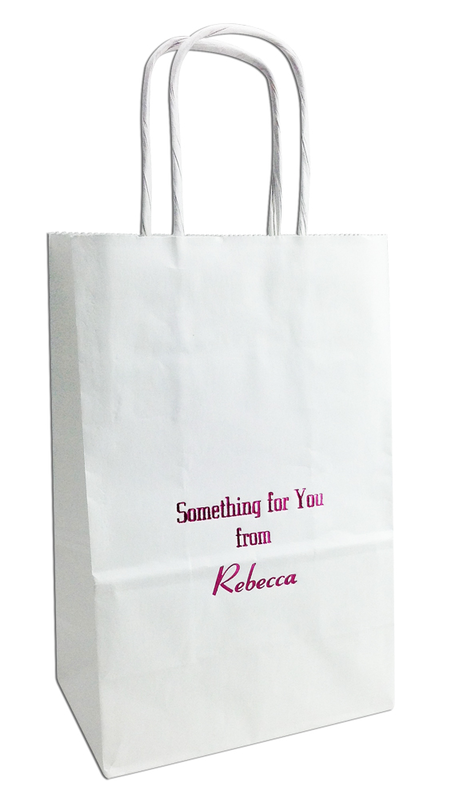 There is something so special about giving your guest a gift in a personalized gift bag! 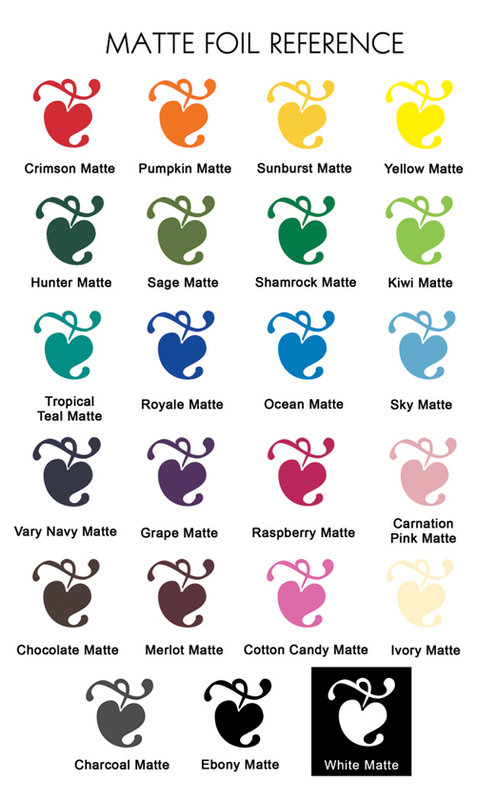 Especially ours which gives you so many ways to personalize them! Each paper bag measures 5" x 3.5" x 8" - fill them with one treat or many! They are sturdy too since they are made with 65 lb paper and feature twisted paper handles. The imprint area is a generous 3" x 3". 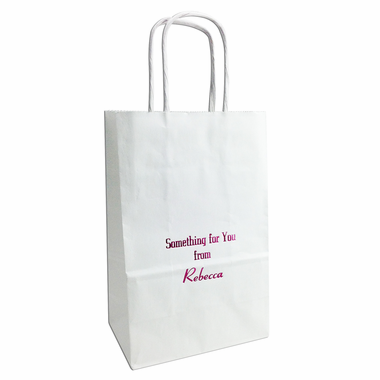 Choose the bag color, imprint color, font and graphic design for your personalization. 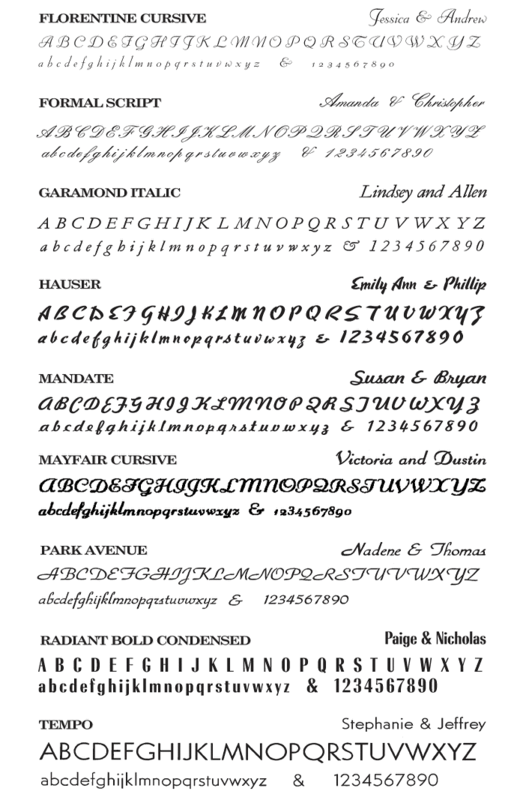 An email proof is available for $25.00 and is available within 3 busines days of order placement. 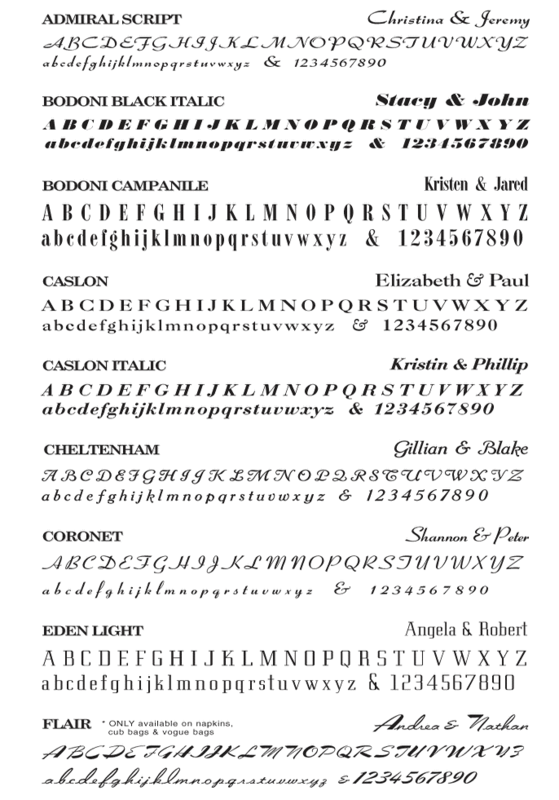 If you order a proof, your order will not be processed without your email approval and could delay production. Please respond to your proof email promptly. 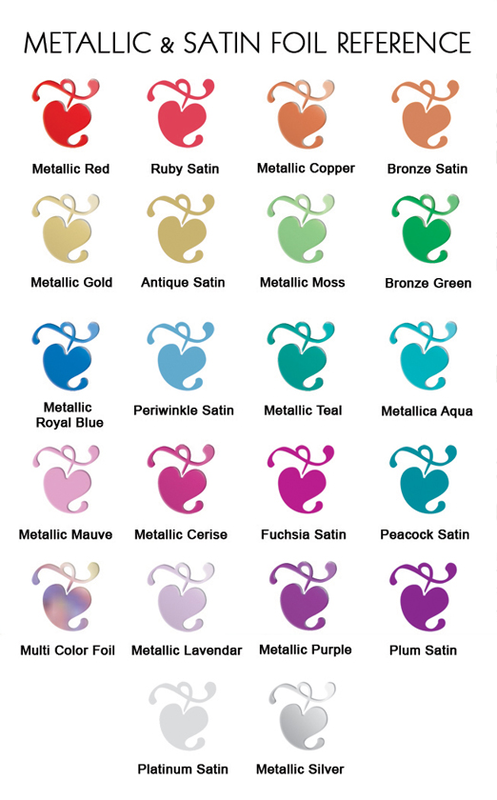 You may order a sample at no cost in the gift bag color of your choice. It will have another customer's imprint on it. 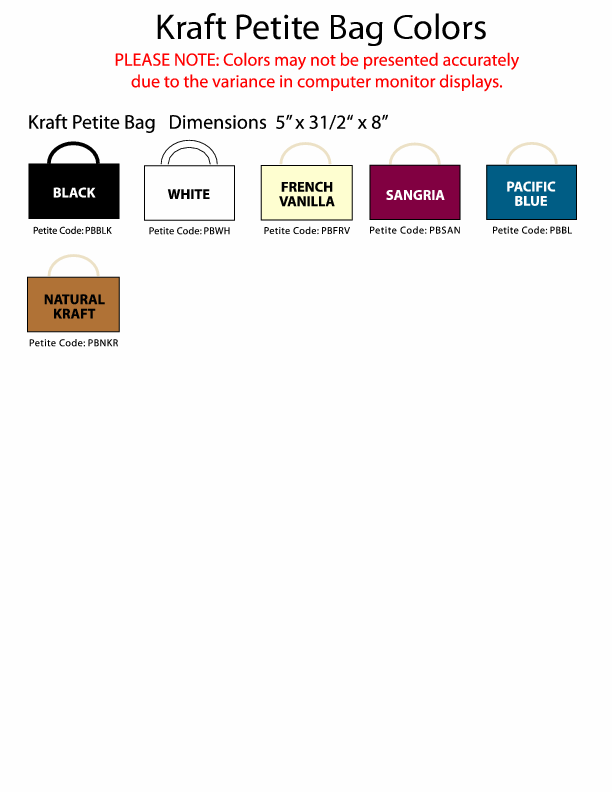 Please send your request to info@cool-party-favors.com and be sure to specify bag color and to write Kraft Petite Bag in the subject line.